One of my favorite involvements on campus is writing for Buzzsaw magazine. 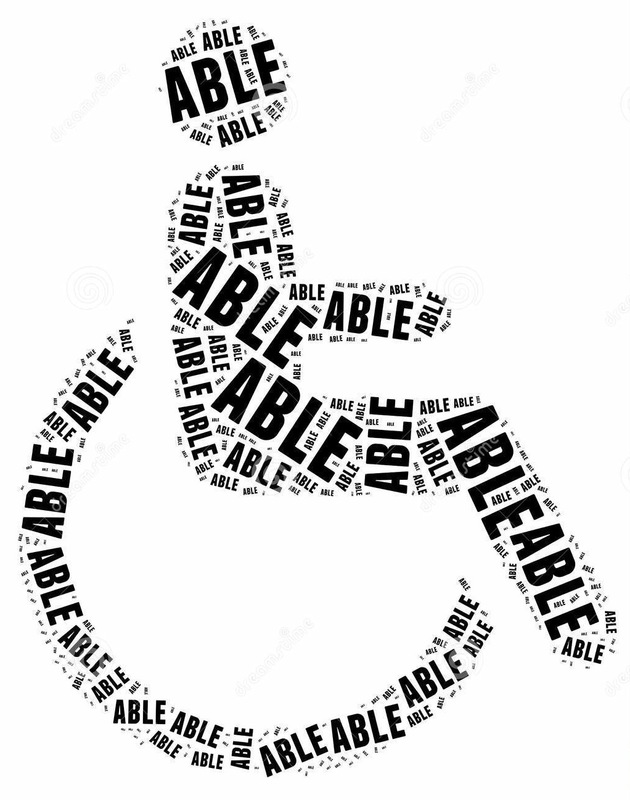 Right now, I’m in the process of writing an article about equal opportunity for disability in the workplace. Every interview I’ve done for my article has been thought-provoking, but I especially enjoyed my visit to the Finger Lakes Independence Center. I spoke with Program Director Larry Roberts, who has cerebral palsy and uses a wheelchair to get around. It was incredible to talk to someone with a disability who also advocates for people who face both similar and vastly different barriers. He and I talked for about an hour about the problems surrounding disability in our society, and how to go about changing our perspectives in order to solve some of these issues in the future. “Hire the Handicapped” used to be the catchphrase that encouraged employers to bring employees with disabilities into their businesses. Handicapped, Larry told me, has been out of use for a long time now, and we are currently experiencing another shift in language. The word “disabled” is going out of style in favor of the phrase “people with disabilities.” This preference puts the emphasis on the person first, and their condition second. “How we speak about an issue is very indicative of how we think about things,” Larry said. He explained that we have to think about the words we use in order to make change. “It really does have an effect,” he revealed. He pointed out that positive change for people with disabilities and the issue of language are a bit of a chicken-egg situation: does thinking about language lead to more accepting attitudes, or does a change in perspective cause heightened awareness of how we describe disability? Conversations about disability are both a blessing and a curse. “If the disability isn’t important to the conversation, don’t mention it,” Larry urged. Playing a bit of devil’s advocate (but also genuinely interested in how he would answer the question), I countered by asking, “But don’t we need to talk about it in order to decrease the stigma?” He smiled and agreed, but maintained that it’s a bit more complex than that. “There’s a difficult tension between wanting to be seen as human but also not having a really important part of who I am ignored or glossed over,” he said. The issue of equal employment for people with disabilities is “much more complicated than we can imagine,” Larry explained, but as a society we can begin to break down the attitudinal barriers that contribute to the problem by challenging long-held beliefs and perspectives about what it means to have a disability. Our current notion of the correct language to describe the ever-growing population of people with disabilities is a step in the right direction. Putting the person first is crucial in order to respect that someone’s identity both includes and goes beyond their physical and mental capabilities. Thank you so much for this! I learned a lot and this is so important! This is so eloquent and thoughtful. Like most of what you do. Oh, you <3 Thanks girl. This is a great post, Sabina….very educational. I wish disability issues were covered more in diversity and inclusion classes along with race and gender issues. There are so many things that all of us could and likely would be more sensitive to, if only we were aware of them. Things as simple as the language we use. And I really like your basic etiquette tips. Thank you so much! I agree, and the people I talked to for my article think that soon, it will be, but it’s a long process. It’s all about awareness of our own habits in relation to others. A great post. I would like to add one thing: I have a disability, a mental one. Sometimes these can be even harder to talk about as there are no physical signs, I don’t look disabled from the outside. The same stigmas are there though, sometimes even worse as people assume that because you look well then you can’t possibly have anything wrong with you. People are afraid to ask even simple questions like ‘how are you?’ or even worse are the people who think that because it’s mental you should be able to snap out of it. I totally agree that we need to challenge perceptions for ALL types of disability and illness. Thank you! And you’re absolutely right–mental illnesses and learning disabilities are often even more stigmatized because they aren’t visually obvious and some people even dispute their existence at all. This got marked as spam because of the link so I’m just seeing it now! I love this. I wonder how the person who is embarrassed and wants to be accepting and caring but does not know how, and might in embarrassment make personal remarks, can be brought to a better understanding. There are people whose hearts are definitely in the right place, but who make silly comments. And, sometimes I feel able to cope with silly comments, sometimes I feel more threatened and not in the mood. There is no obligation on any member of a group to educate people outside the group about that group- but who else will do it? Definitely true. Perhaps no obligation, but instead a responsibility. I think if people approach others with, “Look, I’m uninformed, my question might be silly, but I’m trying to learn how to understand you more complexly, please correct my language or approach if it is offensive, and feel free not to answer if you’re uncomfortable” before asking is important. I think that gives a lot of the power to the person (who often is usually in a position of lesser position) to explain–or not–in a way that is meaningful, educational, and opens discussion. The personal space issue is a huge deal and it’s SO hard to communicate to able-boded individuals. It also extends to other kinds of adaptive equipment like walkers. I usually just physically move if someone does this and if they don’t get the message after a few encounters, I engage the issue. Also: “Ask before helping” really only covers half the problem. You are still assuming that the person needs help. I tell people to wait until help is requested, unless it’s a situation in which you would offer the same help to any person. IE: If I lose my shoe and you would automatically say “do you need help putting your shoe on?” to any one you saw putting on a shoe, then by all means ask. If not, then assume I’m fine until I ask you. This has happened to me multiple times. If you see me sitting or standing in a hallway (as in, I’m probably waiting for someone) and you frequently ask strangers “Hey,are you okay? Do you need help with something?” then ask away. If you’d normally assume a person was fine, then assume I’m fine unless I flag you down for directions. The responsibility of asking for help should be on the person who requires help. You’re right–I think Larry’s comment about asking before helping was more about discouraging people from jumping in and helping before asking, which also has to do with the assumption that an able-bodied person knows the best way to help someone with a disability when that person is the only one who knows what help and accommodations (if any) they need. Sometimes it can definitely be an inappropriate or disrespectful gesture, so I really appreciate your feedback about boundaries! He’s definitely right. And there’s another facet to it as well where I think parents need to help teach kids with disabilities to self-direct and self-advocate. Hm. I sense a post coming here. I am just coming across your blog and I love this post. I have been studying and engaging in the disability-community for five years now, and I could not be more intrigued by the thoughts and comments of family and friends, who know what I do and what my degrees are in, and yet, they are so astonished by the abilities of people with disabilities. That’s not to say that technologies and adaptive equipment aren’t some of the coolest things on the planet, but it’s so clear to me that we have a long way to go for able-bodied, disability-ignorant people to understand and even be open to understanding and accepting disability, mental or physical, as a part of every day life. I’m more aware than most, but every day I realize that there’s more I can and should be doing to break down stereotypes and educate others. Thank you for stopping by and sharing your perspective! Clearly you have an educated mind, and heart. It’s posts like these that just make people aware of various aspects of disability. Thank you! One of my main goals is to be relatable. I’m amazed you somehow found mine out of the thousands and thousands of blogs here. I actually only started using WP to make a site for a class too, but I really liked all the formatting stuff and decided I wanted to take on blogging as a new project–who knows, you may end up doing the same! Haha I was just browsing the website and hitting the “more” button to see what other websites were out there and I liked the title of yours haha. Maybe I’ll blog in the future, but I would die if I added one more project! I used to make video blogs (2x a week, at least) as well as write this blog AND you know, be a full time student with a job. I have no idea how. I’ve dropped video blogging cuz I was just spreading myself too thin, so I definitely understand the having to restrict your projects. Yeah that is definitely a lot. I understand the full-time student thing 100% …who knows, maybe my new-found young adult life will inspire me to blog about it someday.